Pao de Queijo in powder is natural mix of Brazilian special flour and a little bit of powdered milk (cow's milk, pasteurized, evaporated and dried). 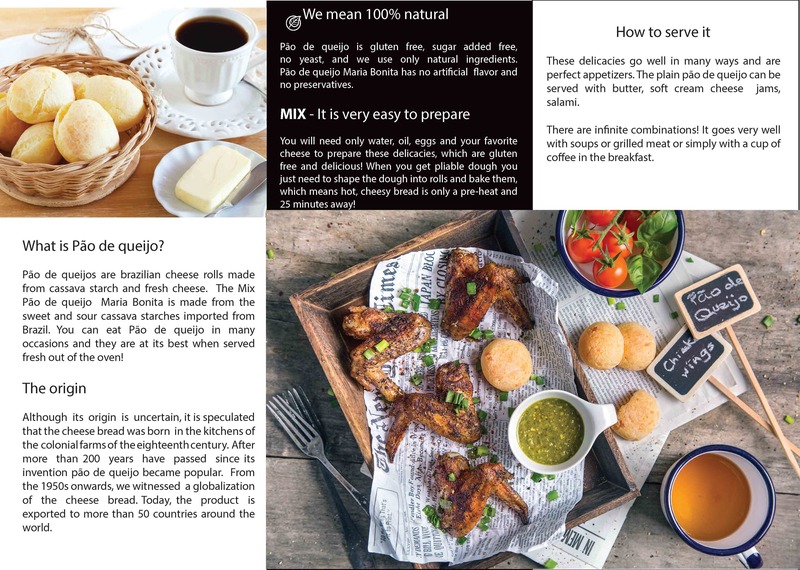 Cassava flour is imported directly from our partner in the south of Brazil. This is not the flour from Asia, which can be found in popular stores. The milk we buy in the regional small dairies in middle-south of Poland. Our product does not contain preservatives, baking powder and yeasts. Below you find more information about nutrition facts and method of storing and preparation. From 400 g of mix you will have about 30 rolls of Pao de Queijo Maria Bonita. You will need: 400 g of the Mix Maria Bonita, 2 medium eggs, 250 ml of water, 10 tablespoons of oil (60 g) and minimum of 100 g of your favorite cheese grated. Maria Bonita recommends parmesan, gouda, cheddar, mozzarella. Preparation mode: Preheat the oven to 180°C for 10 min. 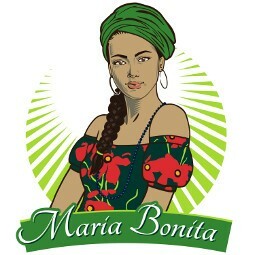 Place Maria Bonita mix in a bowl and add water, oil and eggs. Knead well and add grated cheese. Knead till you get pliable dough. Shape the dough into rolls of desirable size (e.g. 30 or 100 g). Bake for 25-30 minutes or till pão de queĳo gets slightly brown. Ingredients: cassava starch, pregelatinised cassava starch, milk in powder, salt.